I absolutely love GLOW by W. H. Beck, both for the subject matter and the playful way in which she presents it. 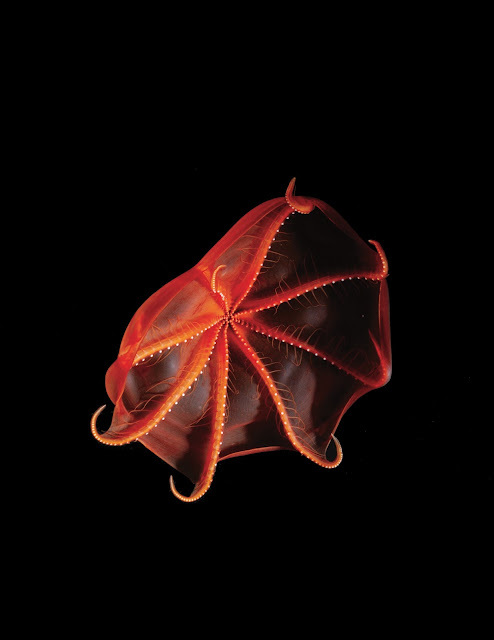 Beck introduces readers to the word bioluminescence then walks them through the natural world, on land an in water, examining creatures that have this rare quality as well as the hows and whys as to their glow. GLOW, which is filled with stunning photographs on a black background, works on two levels, making it perfect for a wide age range of listeners and readers. Text in a larger font is informative and inquisitive while smaller text provides more details older readers will find intriguing, like the names of the creatures and why they make light. Beck informs readers early on that the majority of bioluminescent animals live in the water because sunlight can't reach very far under the waves. 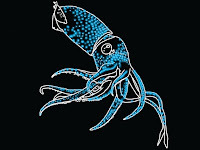 On the page with the glowing sucker octopus, seen above, the smaller text lets readers know that water covers two-thirds of the earth and that 80% of all life forms are found in the ocean. 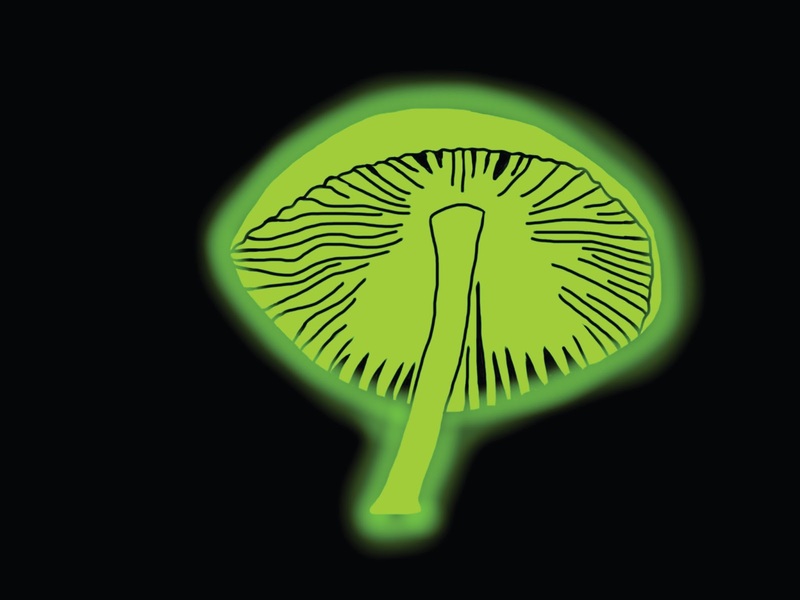 An aspect of GLOW that I found especially fascinating comes in the back matter where Beck tells readers that most bioluminescent animals are the size of an apple or smaller. Because of their size and habitat, they are incredibly hard to photograph. Because of this, Beck includes an index of the animals found in the book with their name, size and the depth at which they can be found. 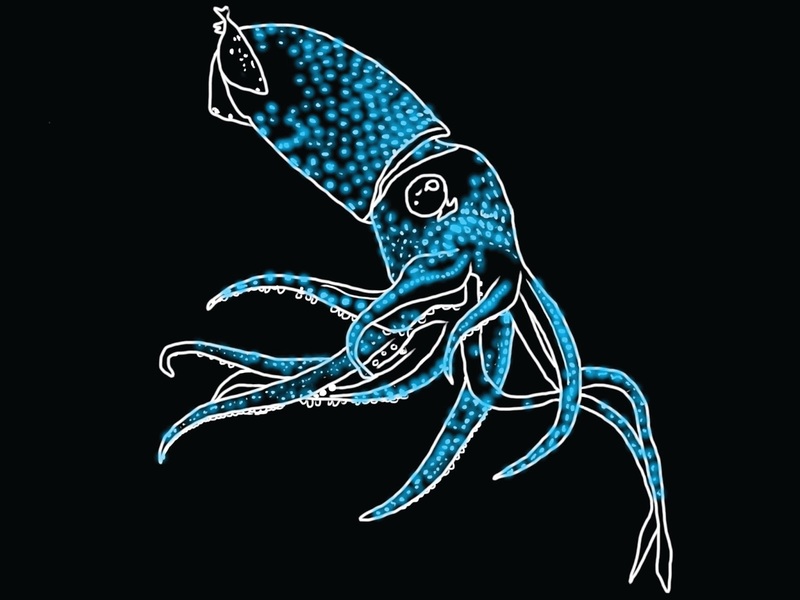 The images that go with this information, like the two above, are drawings that highlight the areas where the bioluminescence occurs. GLOW is the perfect introduction to this amazing aspect of the natural world that is sure to spark further inquiry in readers of all ages!